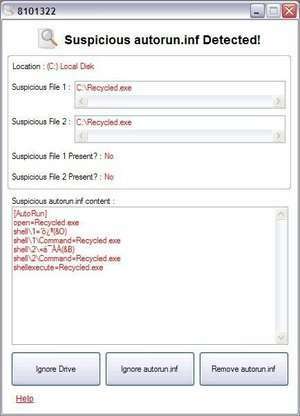 Autorun Eater was born due to the increase of malwares using the 'autorun.inf' method to infect users unknowingly be it from flash drives, external hard disks or any other removable storage device. For security reasons, you should also check out the Autorun Eater download at LO4D.com which includes virus and malware tests. Additional screenshots of this application download may be available, too. Autorun Eater download been highly rated by our users.